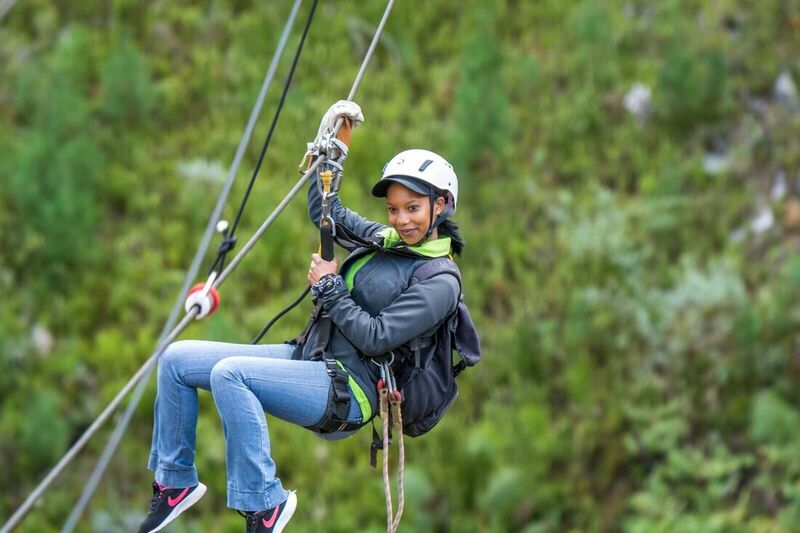 Come and play Tarzan and Jane and zip down metal cables suspended between the trees in the forests of Hermanus – with cables at cliffs and high into the tree canopy; ending with the longest cable in the Western Cape at 180metres long. 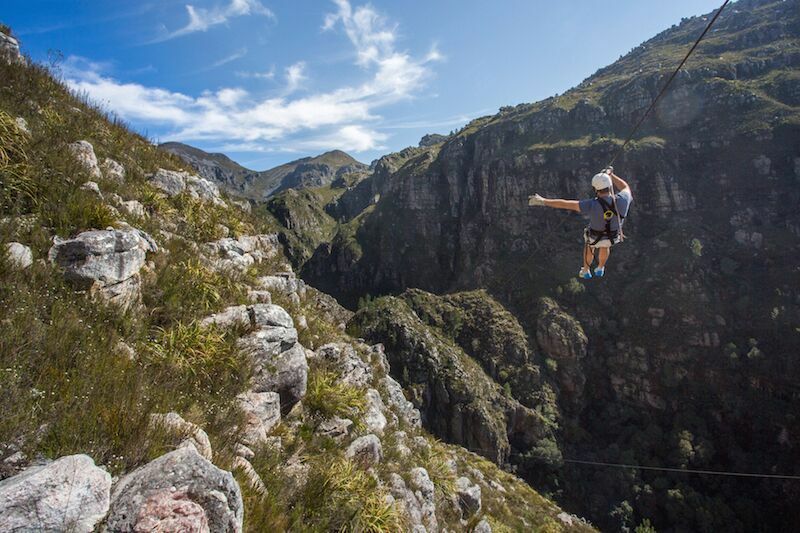 The metal cable zip-lines have recently been expanded and improved so that now they run for over 1.5kms long and take up to 2 hours to complete the course. 1 instructor is in front of the group, 1 is bringing up the rear. Amazing fun – each group is kept small at each stage, but once that 1st group have completed the 1st stage , then more people can join the zip-line course - so large groups of people can easily "occupy" the entire course - perfect for - Team-Building, Corporate events, Stag / Hen parties, Kids birthday parties etc......(minimum age is 6 years old) - a tractor-train will transfer you up to the 1st platform up into the mountains (at a small fee of R20 per person). 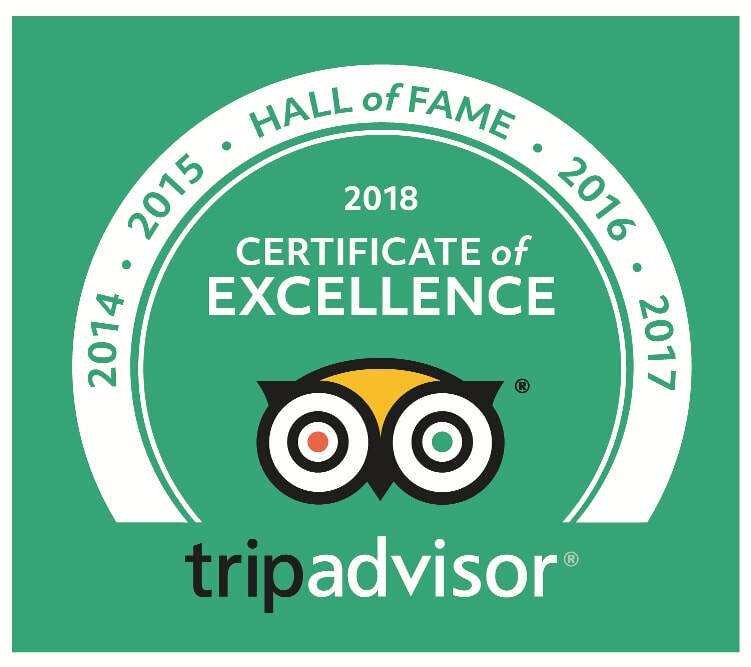 Please click our Articles Main Menu Page to view our extensive library of South Africa tourism related Articles and Things to See and Do. Click to our PRICES page for ALL activities prices. 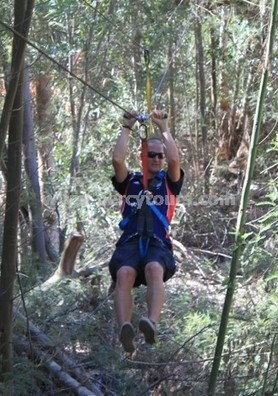 If you aren’t afraid of heights and are aged between 5 – 75 years young then this is just the activity for you! 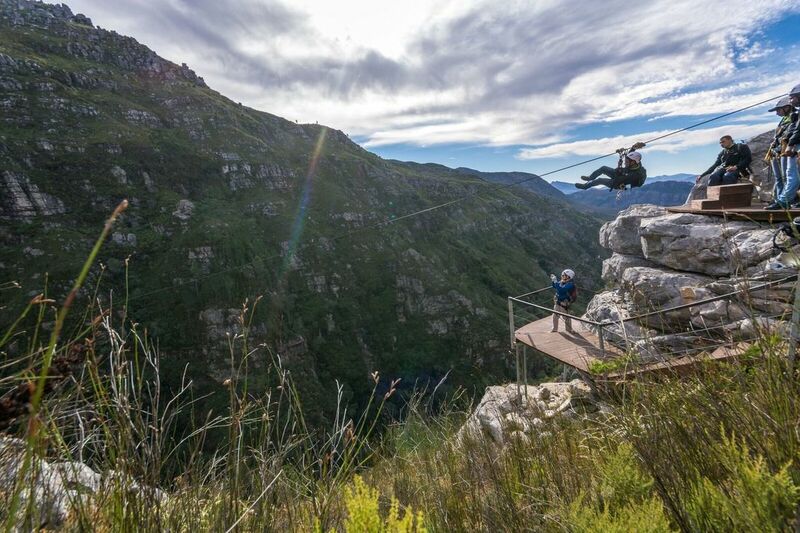 An adrenalin filled cliff gliding experience, harnessed and hanging from a cable overlooking gorges and kloofs through stunningly scenic mountains, capturing the beauty of Cape Floral Kingdom fauna and flora. 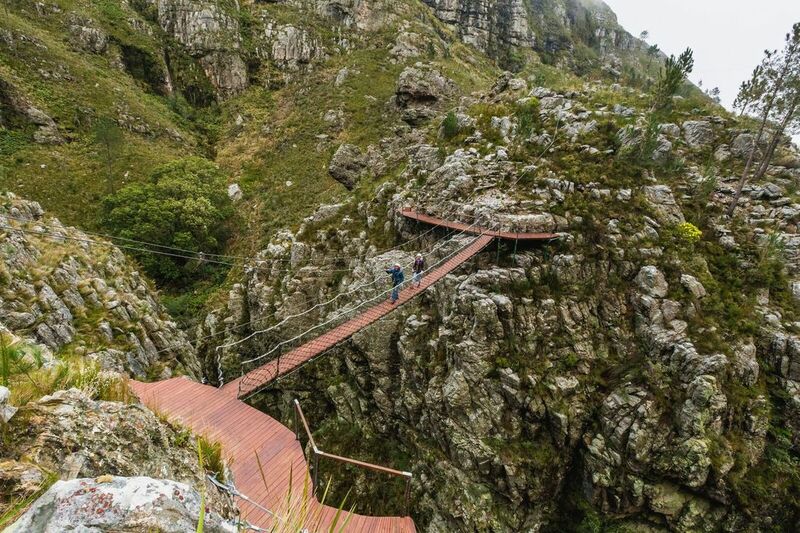 The tour includes 13 elevated platforms and a swing bridge, slides of up to 320 metres, and lasts approximately 4 hours – includes park fee, 4x4 transport to the top and a light lunch – rain gear will be provided in wet weather conditions. It is recommended that you wear a comfortable pair of walking shoes and take the following along - warm clothing as the weather in the Western Cape can be unpredictable, especially in the mountains. Don’t forget your camera to capture the unforgettable experience.